Earl has been upgraded to a hurricane as the system bears down on Belize, threatening flash floods and mud slides. 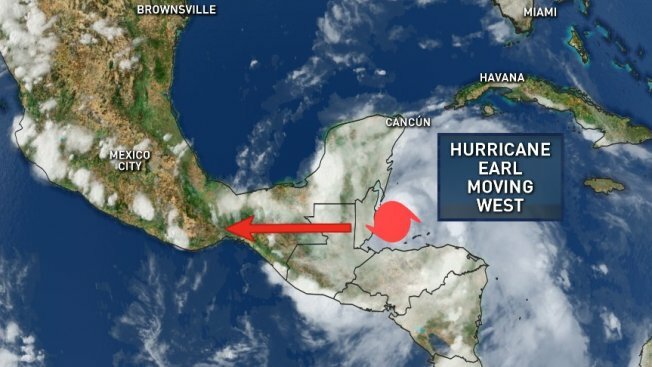 Forecasters said Earl was threatening to bring heavy rains, flooding and high winds to Mexico, Belize and Honduras, and was likely to blow past Honduras' Roatan Island, a popular tourist destination, on Wednesday afternoon. NBC 5 Meteorologist Samantha Davies said the area of high pressure keeping North Texas hot will also keep Earl away from Texas, driving it through the southern part of the Gulf of Mexico and into Central Mexico.